Initiated in 2009, ICCROM’s ‘First Aid in Times of Conflict’ (FAC) course ran successfully for three installments and focused specifically on training international cultural heritage professionals who work in areas prone to conflicts and need training in critical competencies to take action. 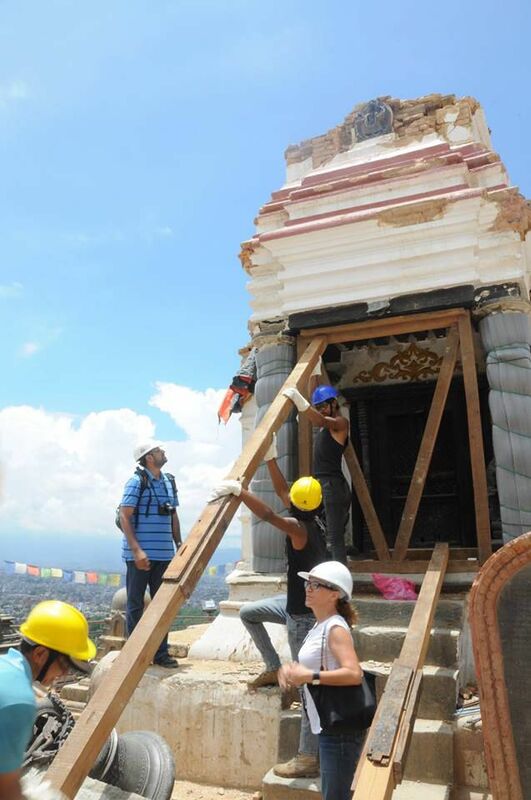 After partnering with the Smithsonian and the Prince Claus Fund, the course was re-developed in 2015 with a newly expanded aim of ensuring that the heritage caretakers within any type of crisis-affected community have the ability to participate in their own cultural recovery, which in turn can become a driver for peace and holistic development. This revamped course was hosted first by the Netherlands National Commission for UNESCO in 2015 and by the Smithsonian Institution in 2016. In total, the FAC courses have created a growing network of nearly 100 professionals and have led to 27 additional regional trainings in 21 risk-prone countries. Are you a domestic heritage professional who wants to learn more about improving your organization’s capacity to prepare for and respond to a disaster involving heritage in the U.S.? Check out SCRI’s Heritage Emergency and Response Training program, known as HEART. Download the application form and send it to fac2019@iccrom.org by 31 May 2019! 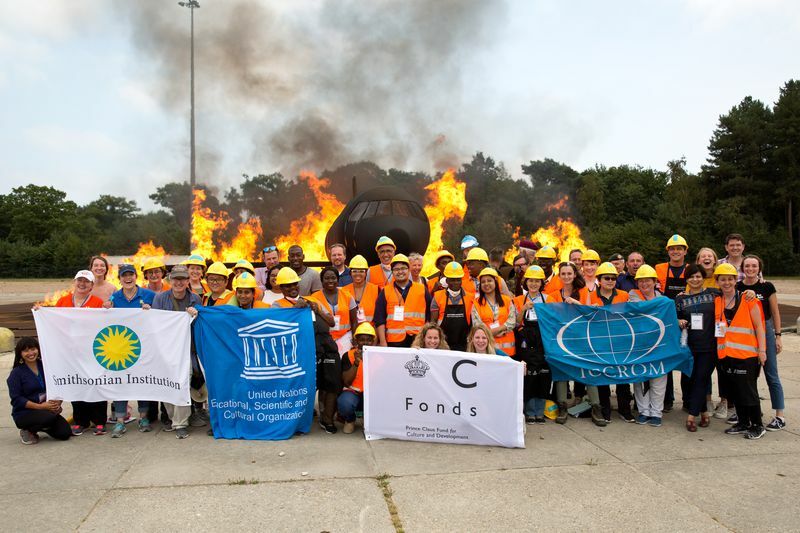 In honor of the 2018 European Year for Cultural Heritage, the ‘First Aid to Cultural Heritage in Times of Crisis’ (FAC) took place in Brabant, the Netherlands, from 6 to 24 August 2018, and included modules on prevention, safe evacuation, stabilization and protection of cultural heritage at risk. Twenty-four conservators, archaeologists and archivists took part, as well as people involved in humanitarian assistance including aid coordinators and military officials. At the end of the course, trainees applied their skills in a large-scale disaster simulation exercise on 22 August. For more information about the most recent FAC course, check out the program's pages at ICCROM and at the Prince Claus Fund. The first time a FAC course was held in the U.S., FAC brought 21 participants from 18 different countries to the Smithsonian in June 2016. Watch the course video produced by our colleagues at the Office of International Relations. In honor of the 60th anniversary of the Hague Convention, an inaugural partnership of The Netherlands National Commission for UNESCO, the International Centre for the Study of the Preservation and Restoration of Cultural Property (ICCROM), and the Smithsonian Institution led to an expanded and redeveloped course. Watch the final simulation exercise of the First Aid to Cultural Heritage in Times of Crisis (FAC) training course held in the Netherlands in April 2015. See the links below to learn more about the FAC handbook, toolkit, as well as other educational resources for heritage professionals looking to improve their disaster preparedness. 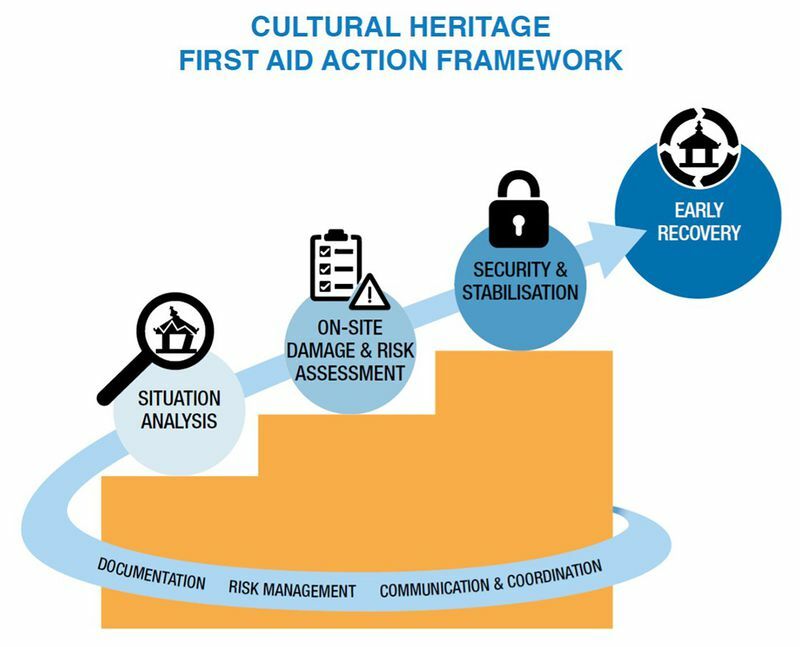 The First Aid to Cultural Heritage in Times of Crisis Handbook is the outcome of nearly a decade of field experience gained by ICCROM, and a close partnership between ICCROM, the Prince Claus Fund and the Smithsonian Cultural Rescue Initiative. It has been developed to answer the increasing need for cultural heritage professionals and humanitarians alike to have a reliable and user-friendly reference that integrates heritage safeguarding into emergency and recovery activities, offering standard operating procedures that are applicable in almost any crisis context. A complementary addition to the First Aid Handbook, the toolkit is rich with checklists, templates and tips that can be customized to any situation. The most recent version of the FAC bibliography which includes links to print and online resources. This glossary is working towards an agreed definition of some of the complex terms that are used during the FAC course. Participants and lecturers are invited to submit additions to the glossary. For more disaster preparedness resources, check out our general Resources page.